Gone to See Central America and the Panama Canal. Semester at Sea Spring 2011 Enrichment Voyage on the MV Explorer. Ultimate Travel Photography Workshop II with Michael Mariant. 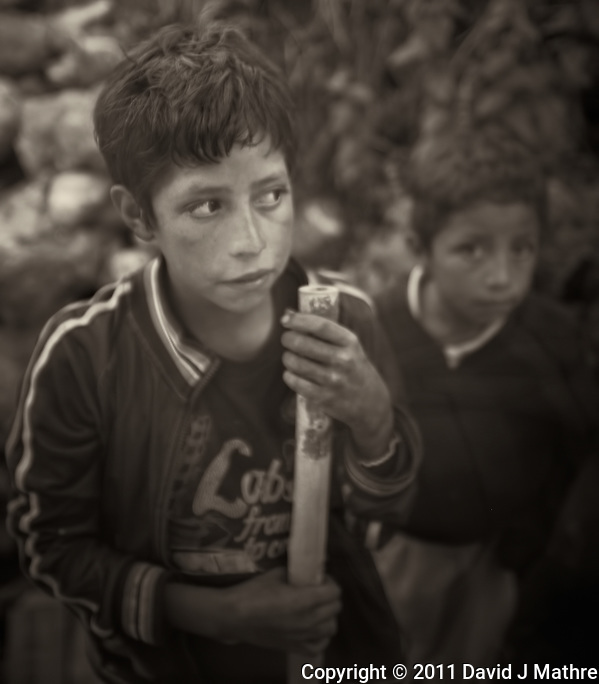 Day 6: Guatemala. 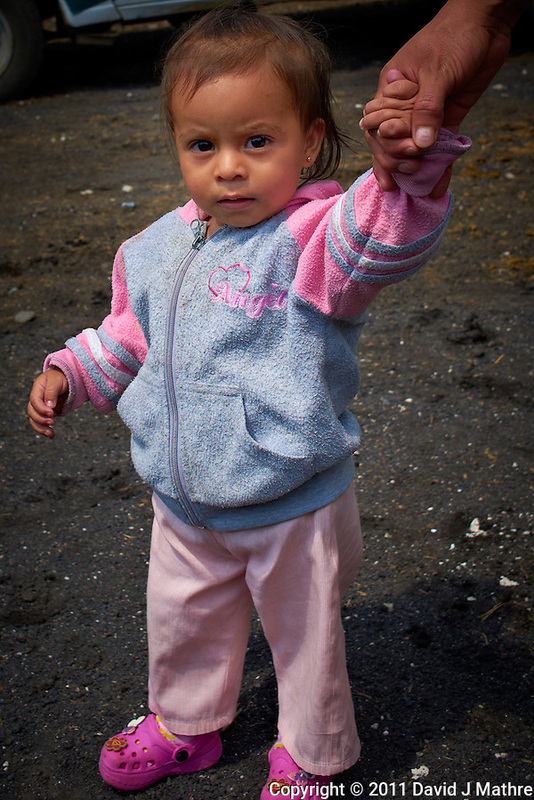 We arrived at San Francisco de Sales, a small hamlet in Pacaya Volcano National Park. As soon as we got off the bus we were mobbed by children selling (or renting) wood walking sticks. The price started at $1 US per stick, and quickly dropped to 2/$1. Before starting the hike we had lunch (chicken or beef with rice and vegetables). We were also given the option to ride a horse for $10 US. I decided to take this option since I had a good experience riding horses earlier this year in Patagonia. 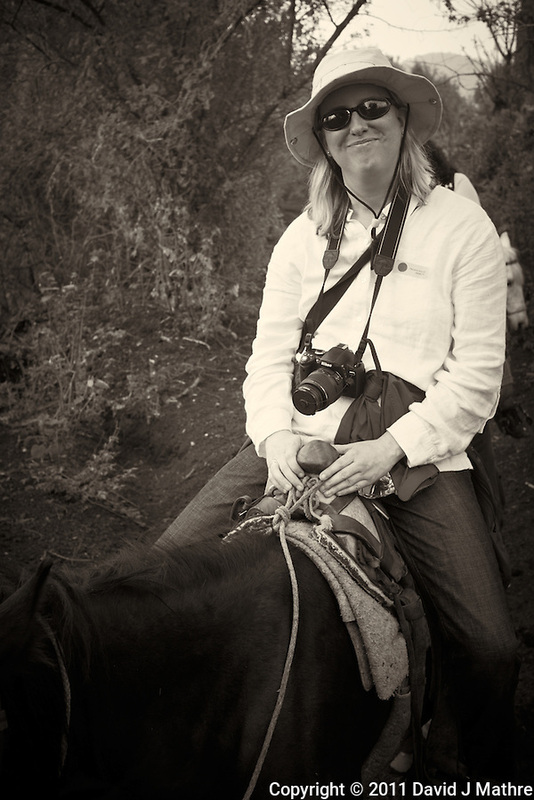 Unlike the ride in Patagonia, each horse had guide lead the horse up the trail. 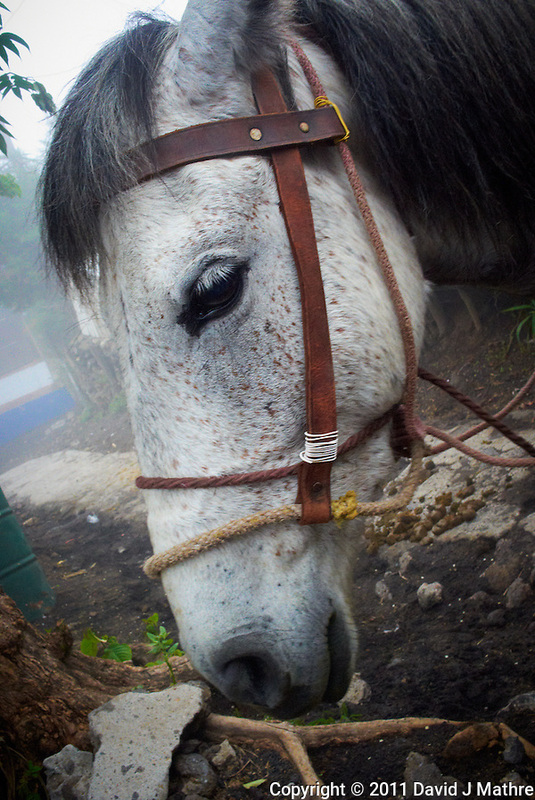 My guide was Antonio, and the horse I rode was named “Champion”. Much of the trail was in the clouds. 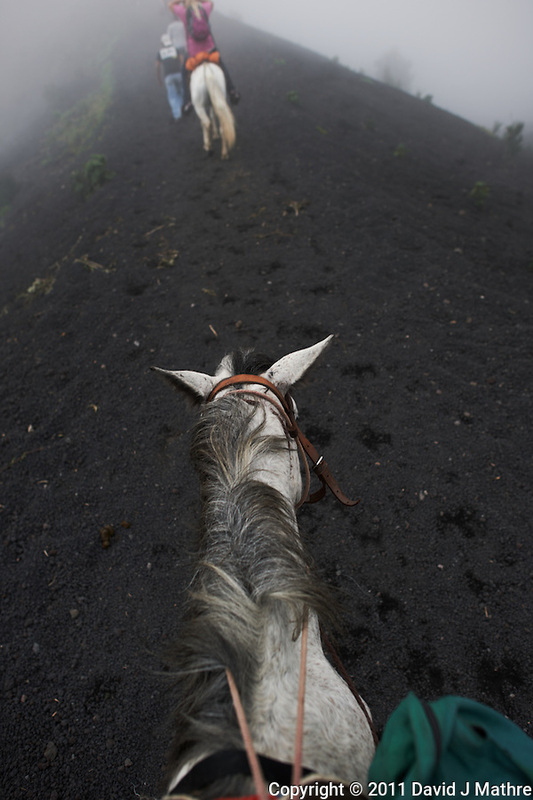 Each time the group stopped to rest, the horse guides without riders yelled “taxi taxi”. Rob soon decided that he needed a taxi. At one point it started to rain, and I got to wear an authentic poncho. Near the end of the trail, we got off the horses and did the remainder of the trail on foot. We went past some hot vents — warm enough for some of the folks to roast marshmallows. There was another large tunnel that the more adventurous entered. 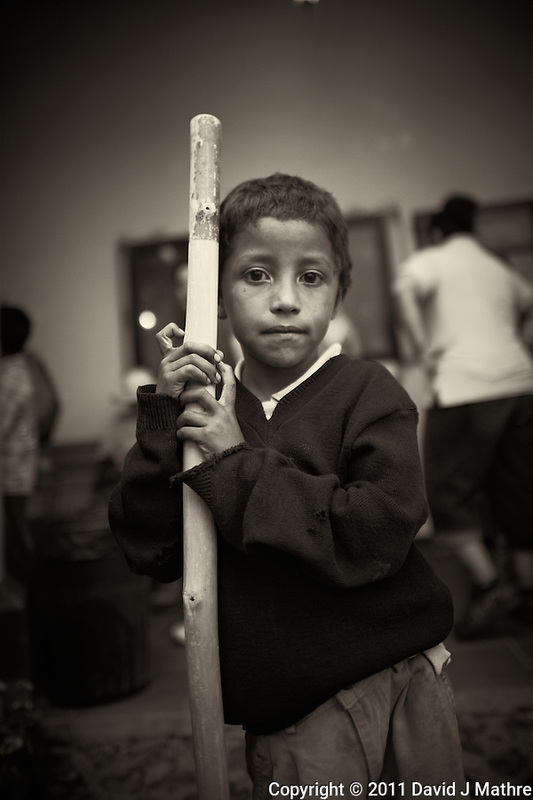 When we got back to San Francisco de Sales, the kids that had earlier sold the walking stick looked to get them back. There was a real pecking order, with the larger boys retrieving more of the sticks. Some of the passengers did take the walking sticks back to the ship. 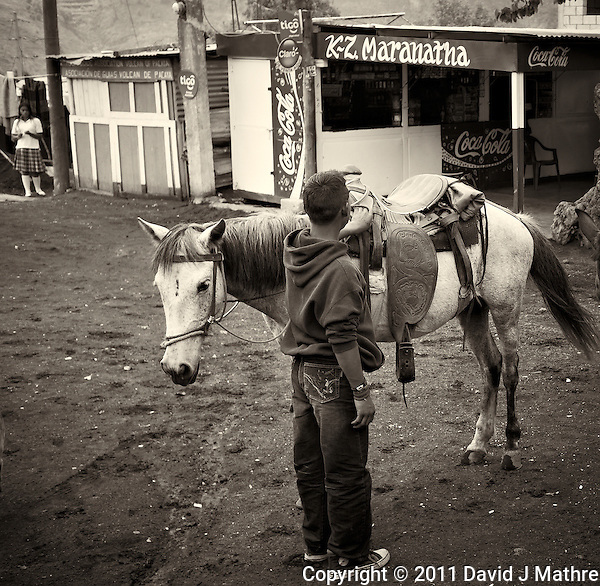 There was a concern that the kids guiding the horses and selling the walking sticks should have been in school. 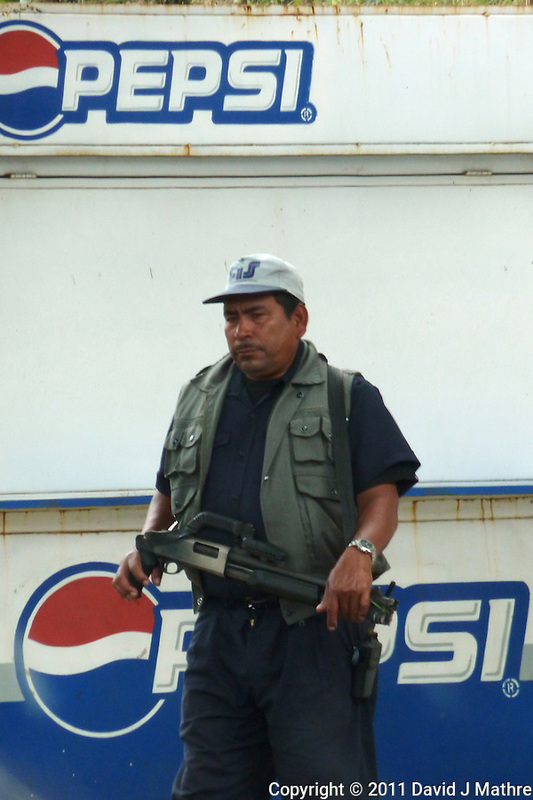 Guarding the Pepsi. Pacaya Volcano National Park. Image taken with a Leica V-Lux 20 (ISO 200, 49.2 mm, f/4.9, 1/125 sec). Raw image processed and converted to B&W with Capture One Pro and Photoshop CS5. .
Little Girl Watching the Volcano Hikers Arrive San Francisco de Sales. Pacaya Volcano National Park. Image taken with a Leica X1 (ISO 100, 24 mm, f/5.6, 1/640 sec). 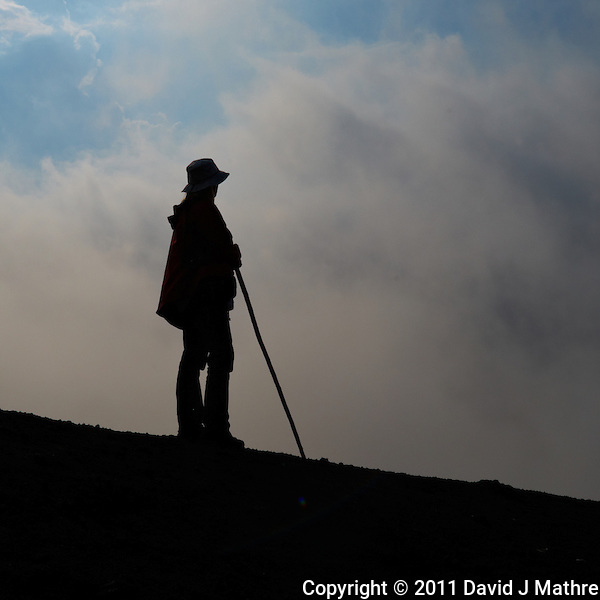 Raw image processed with Capture One Pro and Photoshop CS5. .
Waking Stick Vendor in San Francisco de Sales.. Pacaya Volcano National Park. Image taken with a Leica V-Lux 20 (ISO 800, 4 mm, f/4, 1/160 sec). Raw image processed and converted to B&W with Capture One Pro and Photoshop CS5. .
Antonio Getting Champion Ready for the Trail to the Volcano in San Francisco de Sales. Pacaya Volcano National Park. Image taken with a Leica X1 (ISO 100, 24 mm, f/4.5, 1/200 sec). 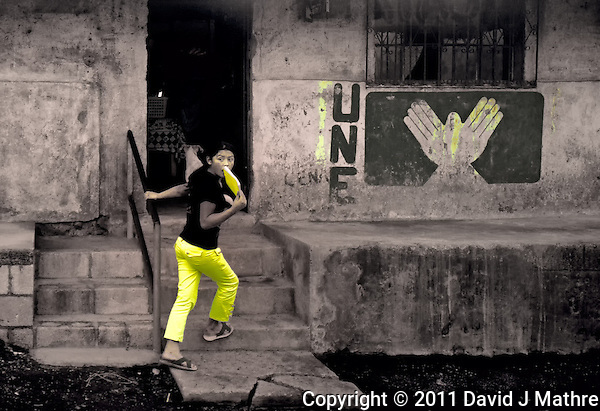 Raw image processed and converted to B&W with Capture One Pro and Photoshop CS5. . 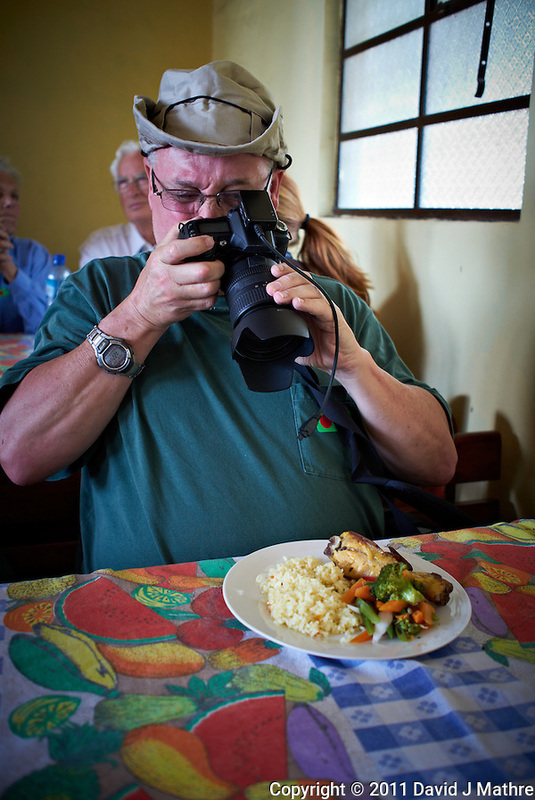 Rob Documenting his Lunch in San Francisco de Sales. Pacaya Volcano National Park. Image taken with a Leica X1 (ISO 200, 24 mm, f/2.8, 1/30 sec). 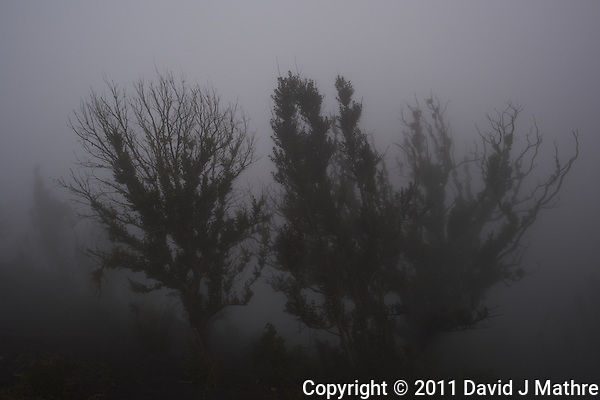 Raw image processed with Capture One Pro and Photoshop CS5. .
View of the Trail in the Mist from on top of Champion. Pacaya Volcano National Park. Image taken with a Nikon D3x and 24 mm f/1.4G lens (ISO 100, 24 mm, f/3.2, 1/320 sec). 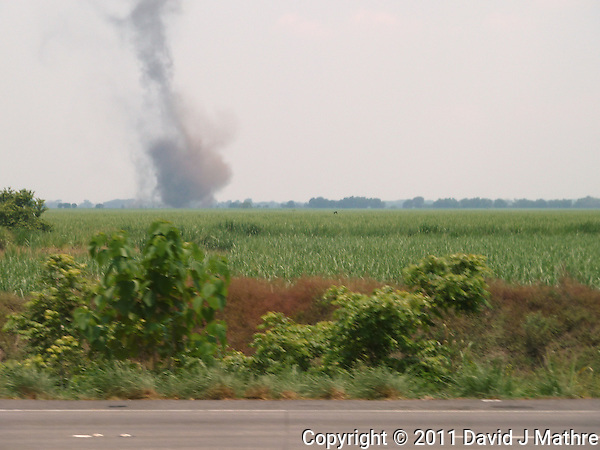 Raw image processed with Capture One Pro and Photoshop CS5. Trees in the Mist on the Trail to the Volcano. Pacaya Volcano National Park. Image taken with a Nikon D3x and 24 mm f/1.4G lens (ISO 100, 24 mm, f/6.3, 1/320 sec). Raw image processed with Capture One Pro and Photoshop CS5. Jenny on her Horse on the Trail to the Volcano. Pacaya Volcano National Park. Image taken with a Leica X1 (ISO 100, 24 mm, f/4.5, 1/200 sec). 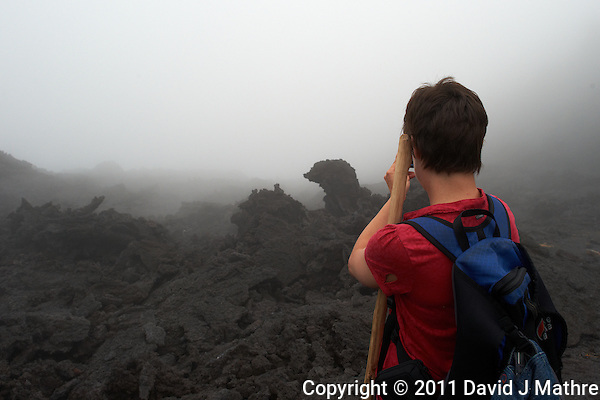 Raw image processed and converted to B&W with Capture One Pro and Photoshop CS5. .
Hiker taking an image of the lava in the mist. On the trail to the Volcano. Pacaya Volcano National Park. Image taken with a Nikon D3x and 24 mm f/1.4G lens (ISO 320, 24 mm, f/8, 1/320 sec). Raw image processed with Capture One Pro and Photoshop CS5. 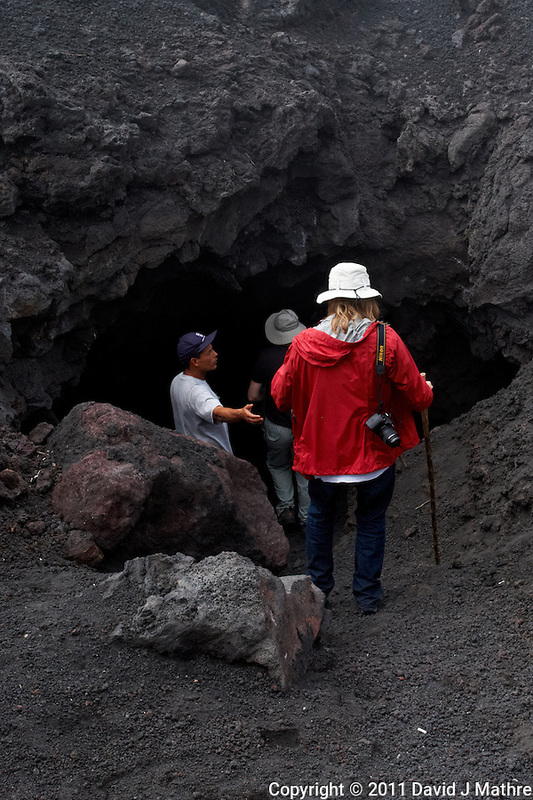 Jenny entering a tunnel in the Volcano. Pacaya Volcano National Park. Image taken with a Nikon D3x and 24 mm f/1.4G lens (ISO 450, 24 mm, f/8, 1/320 sec). Raw image processed with Capture One Pro and Photoshop CS5. Not really Glowing Lava. 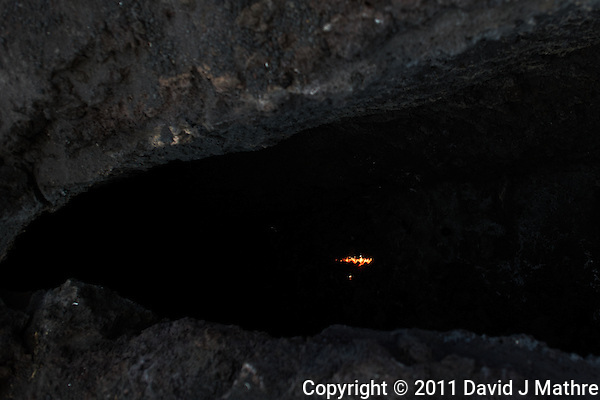 Wood Burning in Heated Lava Vent. Pacaya Volcano National Park. Image taken with a Nikon D3x and 24 mm f/1.4G lens (ISO 125, 24 mm, f/2.8, 1/320 sec). Raw image processed with Capture One Pro and Photoshop CS5. 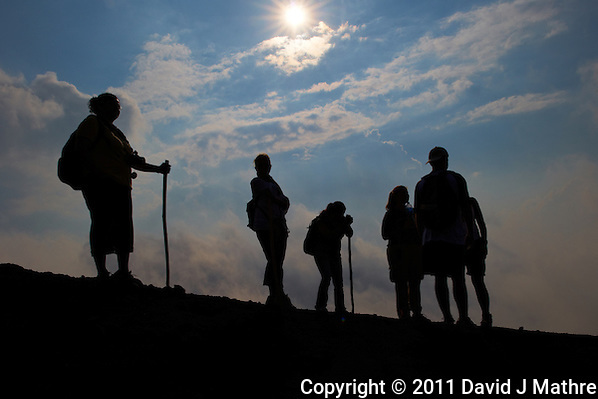 Solar Starburst with Silhouette of Hikers on the Trail to the Volcano. Pacaya Volcano National Park. Image taken with a Nikon D3x and 24 mm f/1.4G lens (ISO 100, 24 mm, f/16, 1/1250 sec). Raw image processed with Capture One Pro and Photoshop CS5. Silhouette of Jenny on the trail to the Volcano. Pacaya Volcano National Park. Image taken with a Nikon D3x and 24 mm f/1.4G lens (ISO 100, 24 mm, f/16, 1/800 sec). Raw image processed with Capture One Pro and Photoshop CS5. Champion After Completing the Trail to the Volcano back in San Francisco de Sales. Pacaya Volcano National Park. Image taken with a Leica X1 (ISO 1600, 24 mm, f/16, 1/200 sec). 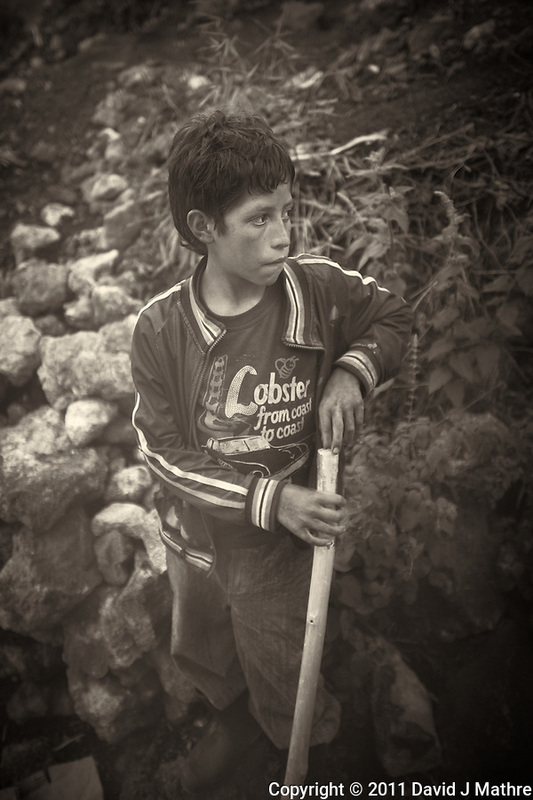 Raw image processed and converted to B&W with Capture One Pro and Photoshop CS5. .
Waking Stick Vendor in San Francisco de Sales. Pacaya Volcano National Park. Image taken with a Nikon D3x and 24 mm f/1.4G lens (ISO 400, 24 mm, f/1.4, 1/320 sec). Raw image processed and converted to B&W with Capture One Pro and Photoshop CS5. 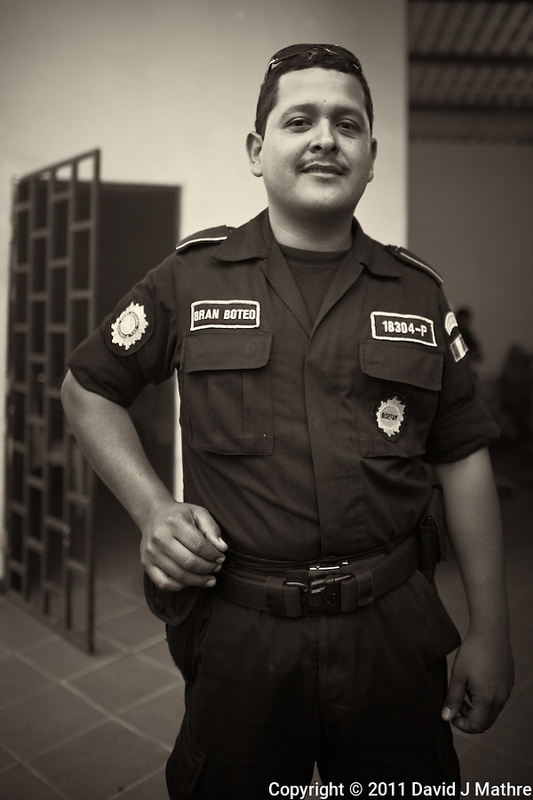 Guardabosque (Park Ranger) in San Francisco de Sales. Pacaya Volcano National Park. Image taken with a Nikon D3x and 24 mm f/1.4G lens (ISO 720, 24 mm, f/1.4, 1/320 sec). Raw image processed and converted to B&W with Capture One Pro and Photoshop CS5. 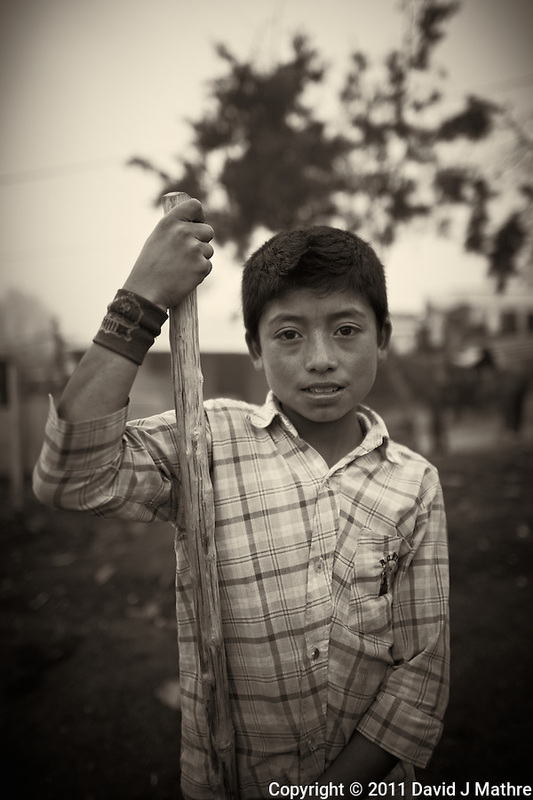 Waking Stick Vendor in San Francisco de Sales. Pacaya Volcano National Park. Image taken with a Nikon D3x and 24 mm f/1.4G lens (ISO 200, 24 mm, f/1.4, 1/320 sec). Raw image processed and converted to B&W with Capture One Pro and Photoshop CS5. Waking Stick Vendor in San Francisco de Sales. Pacaya Volcano National Park. Image taken with a Nikon D3x and 24 mm f/1.4G lens (ISO 560, 24 mm, f/1.4, 1/320 sec). Raw image processed and converted to B&W with Capture One Pro and Photoshop CS5. 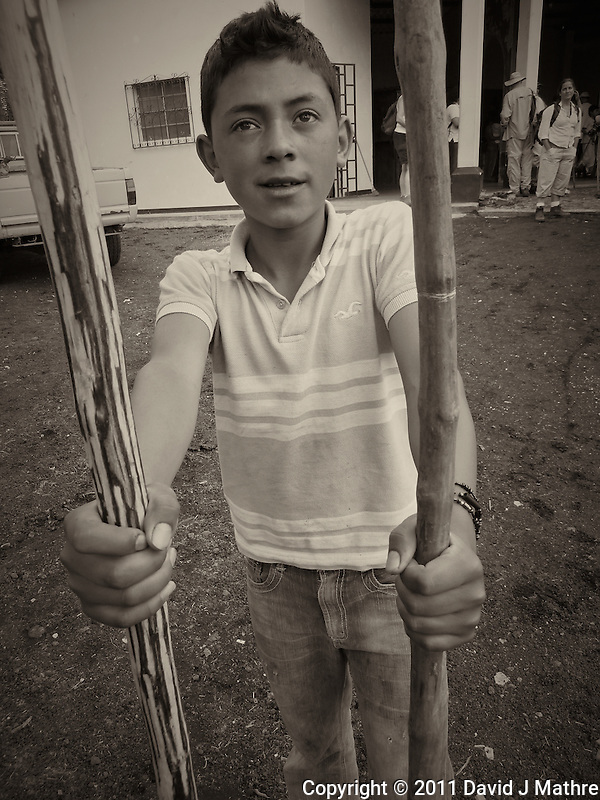 Waking Stick Vendor in San Francisco de Sales. Pacaya Volcano National Park. Image taken with a Nikon D3x and 24 mm f/1.4G lens (ISO 280, 24 mm, f/1.4, 1/320 sec). Raw image processed and converted to B&W with Capture One Pro and Photoshop CS5. 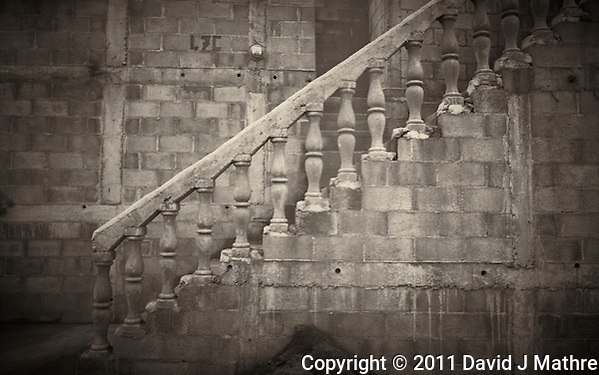 Outdoor Stairway in San Francisco de Sales. Pacaya Volcano National Park. Image taken with a Nikon D3x and 24 mm f/1.4G lens (ISO 500, 24 mm, f/2.8, 1/200 sec). Raw image processed with Capture One Pro and Photoshop CS5. 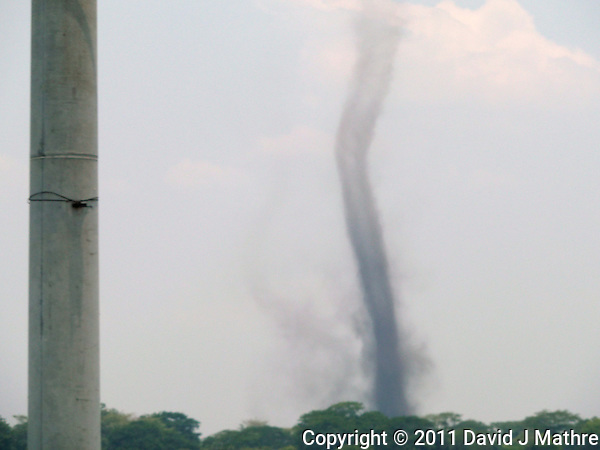 While riding the bus to the Pacaya Volcano we noticed what looked like a tornado just off the highway. The sky was cloudy, but no sign of thunderstorms. 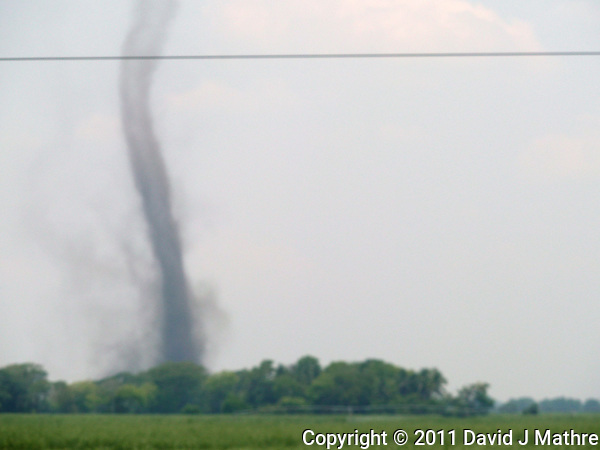 It turned out to be a large Dust Devil. 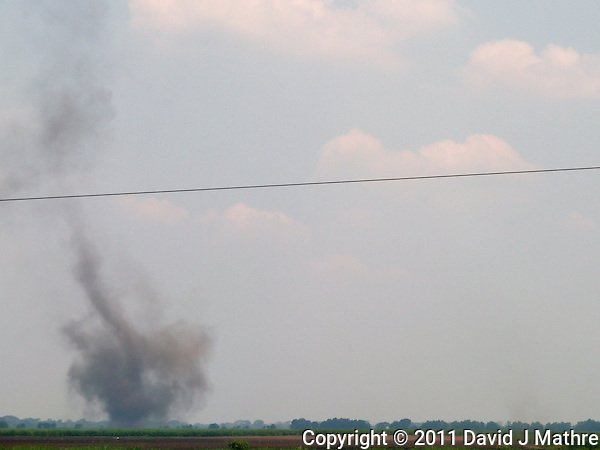 I got the following images from the rear of the bus using a Leica V-Lux 20 point & shoot camera. 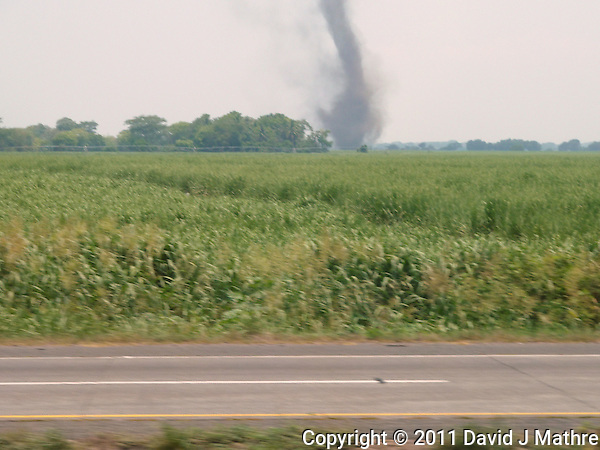 For another view, check out Jenny’s shot from the front of the bus.